SIP v2.0 was defined ten years ago, in June 2002. After that, the IETF has defined a number of additions that add to the Open Realtime Communication Framework – SIP. It’s time to define a new reference profile to raise the bar for SIP vendors and developers. The customers are the only one that can drive this process. SIP 2.0 is 10 years! The core SIP RFC for version 2.0 was published in June 2002, 10 years ago. During these ten years SIP has been changing, with new additions solving new problems, correcting issues with the orginal specification or adding new features. Unfortunately, many phones and servers have not been updated with the new features. The idea with SIP2012 is to define a reference profile for the new SIP, something that customers can use as a reference and developers use as inspiration. We will publish new articles, presentations and references during the fall of 2012. In addition, we’ll talk about it on conferences and cover the standards in our training classes. Let’s discuss this on Twitter, Facebook and other forums. Join the flow! Note: This is work in progress and the specification will grow during the fall of 2012. 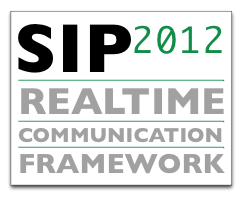 The project SIP2012 was launched in our blog in August 2012. The SIP protocol natively support IPv6. Phones, SIP clients and servers, might not. Make IPv6 a requirement when you purchase or download software. Learn more about IPv6 and SIP now.